Today's a sad day for Clarendon live music scene as another venue announced it is closing. Clarendon Grill, which has been a local mainstay for 22 years, confirmed that the August rumors were true and they will be closing in October. It’s been an amazing ride. 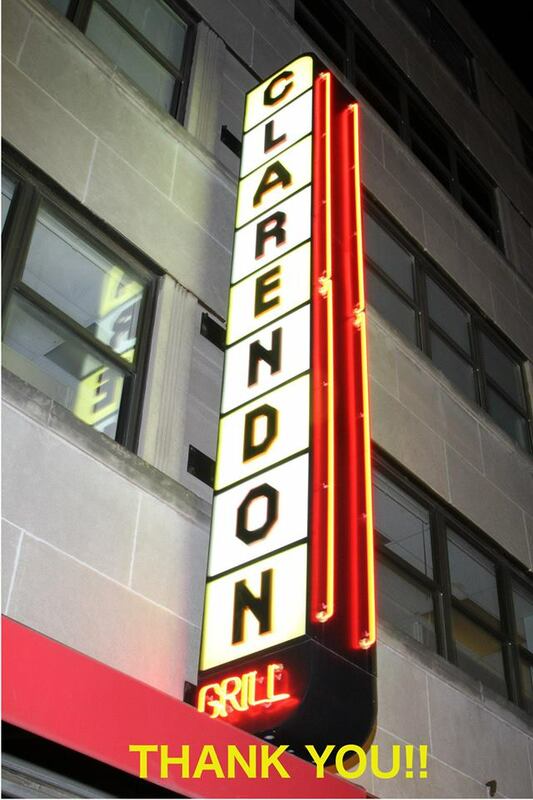 Our hearts are heavy as we share that the doors of the Clarendon Grill will be closing for good at the end of October. We were not ready, but sometimes things happen to change the course. Some of you were around when the doors of the Clarendon Grill first opened back in the 1996 and some of you may not have been born yet. Either way we have truly enjoyed being the go to place for live music in Clarendon. When the Grill first opened there were few bars and fewer customers. As Clarendon grew in popularity, so did The Grill. We were extremely lucky to have had the opportunity to be a part of a community that has since blossomed into a vibrant collection of local businesses. One of the most unique aspects of the Clarendon Grill is the staff. From our General Manager, to our bus boys, to our bartenders-the staff has remained the same for close to 20 years. That is a reflection of the unique culture and values that went well beyond a typical neighborhood bar. 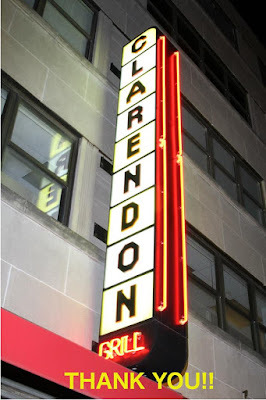 The Clarendon Grill was not just burgers, beers, and live music; it was a family to it’s staff and a “Night Out” for the community. One of the many things we can be thankful for is all of the memories we have helped create, whether happy, funny, sad or forgettable (purposely or not). Thank you all for your support over the past 22 years. It’s been a great run, but alas all good things must come to an end. There will be other bars, but none quite like the Clarendon Grill. Some things are replaceable like burgers and beers, but other things are intangible and we will argue that the staff and the experience we provided, will not be matched.